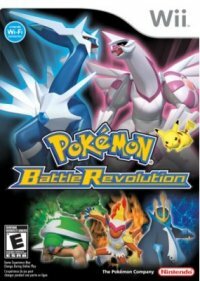 Like Diamond & Pearl, Battle Revolution has a multiplayer mode, allowing for your friends with a DS to connect and battle in the areas in Battle Revolution. However, in Japan & the Americas, it is the first online game for the Wii. Utilising its own Friend Code, you are capable of storing and battling with your friends through the Nintendo WiFi Connection. You also have the ability to have Random online battles with anyone in the world who is also wanting a Random battle. This is a true way to test your skill. To top it off, you also have the ability to create your own custom character. Based upon 6 different models, you can create a character that perfectly fits you, or can be so outlandishly different from you. These can then be saved onto Battle Passes and utilised whenever you battle online. You can also purchase many items and obtain 3 special Pokémon through the completion of the game which can be transferred to your DS game to work as an added incentive to beat the Colosseums.